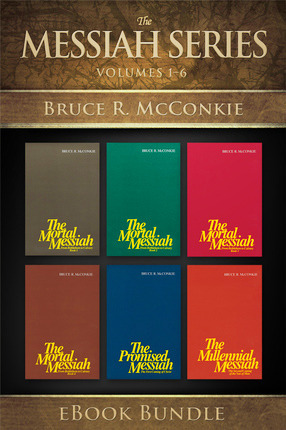 Elder Bruce R. McConkie's landmark series on the life of Christ is available in this best-selling eBook series examines the mission, ministry, and accomplishments of our Savior, and includes six powerful eBook volumes. 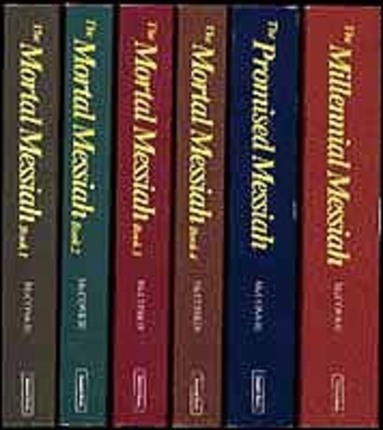 The Mortal Messiah, Volume 1: Beginning with the prophecies that were coming to pass as the Advent of the Messiah approached, and expanding on Jesus Christ's childhood, His baptism, and early ministry, this landmark Spirit-filled volume is worth reading more than once. The Mortal Messiah, Volume 2: Delving into the Savior’s Galilean ministry and reviewing the Sermon on the Mount and much of the Pharisaic opposition, volume two of The Mortal Messiah will provide readers with valuable insights. 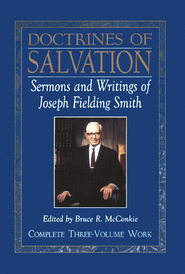 The Mortal Messiah, Volume 3: This volume continues with the life of Christ at the peak of his Galilean ministry, with miraculous healings and the feeding of the four thousand, and continues through to the Savior’s sermon on the Mount of Olives which includes the Parable of the Ten Virgins and the Parable of the Talents. The Mortal Messiah, Volume 4 Jesus — the Savior of the world, the Messiah — is preparing himself to die. His mortal ministry among men on earth is nearing an end, and he must prepare his disciples for what is to be — his betrayal and crucifixion. The Promised Messiah This volume presents a careful analysis of prophecies concerning the First Coming of the Lord. The discourse deepens our understanding that Christ is the Savior, that he did indeed come to make atonement for the sins of men and thus opened up the way for them to return to his presence. 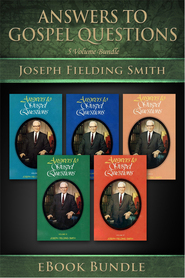 The Millennial Messiah Prophecies from ancient as well as modern scriptures are recounted, explained, and compared as the author delves into every aspect of the Savior's second advent. 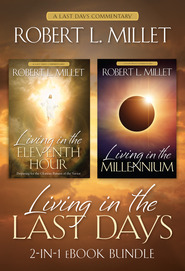 No careful reader can complete this book without adding significantly to his knowledge about the Christian world's most-heralded future event. First, I have this complete series in paperback. I have only a few in eBook format that were sold individually. Second, I never really read the first book of the series (The Promised Messiah) but I have only scanned over and referenced that book. I kept feeling like I wanted to hurry and get to where He was born. The last in the series (The Millennial Messiah) I have read half of and I got side-tracked when I was called as bishop. It is however a great book to help grasp the ushering in of the millennium. 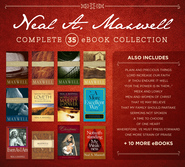 Most of my review centers on the four books entitled "The Mortal Messiah" (1 thru 4). My best description of these works are expressed in my phrase "Sheer Power expressed in Poetry". Never have I read more stirring powerful descriptions, and yet they are so eloquent that it is often like sublime poetry. I hesitate to compare and contrast it with "Jesus The Christ" by Talmage because many will think less of me when I say, if I was tired, I could not stay awake reading that book. While full of great information, I found it difficult to unlock and absorb. At least that was the case at the period in my life when I gave a mighty effort to study that book. The Messiah series by contrast was the opposite. It was difficult for me to put down, At times I would just drop the book to my lap and quietly ponder the power of what I had just read. 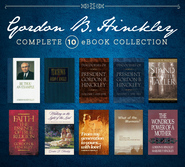 I personally do not see how anyone could read those books and not strengthen their testimony of the Savior and gain and deepened appreciation for Him and His life. Additionally, you cannot read those books and feel the out-pouring of the Spirit without knowing of they had to be authored by an apostle of the the Lord Jesus Christ. You come to know that the author intimately knew the Messiah he wrote about. I will let you decide if you can read substantial works as eBooks. I am 63 and I am very tech savvy, but for some reason I can't quite get beyond quick reads in eBook format on my iPad. 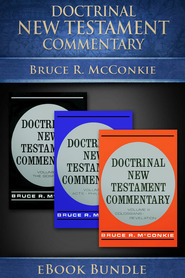 As eBooks they of course have the advantage of linking every reference to scripture right to that scripture with a touch. This series is a must for every member who has even the beginnings of a library.